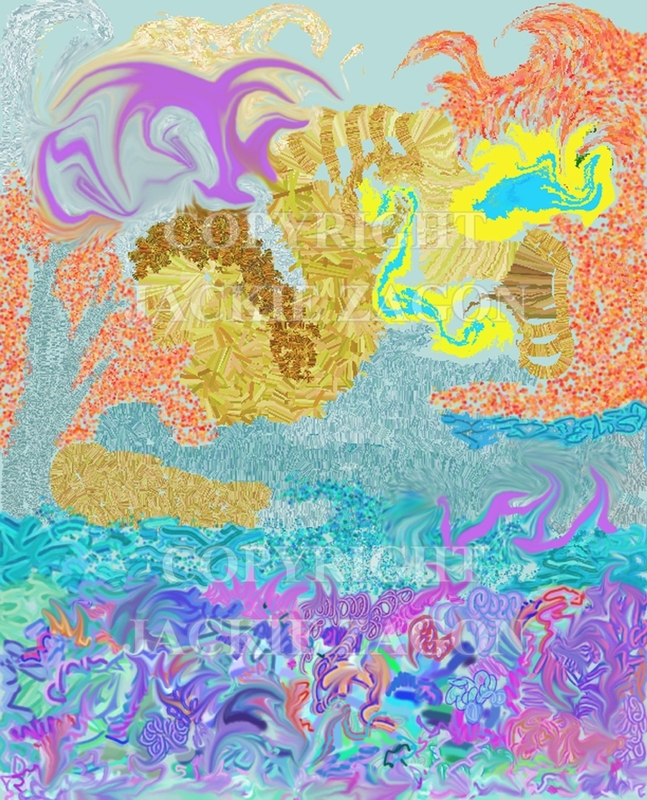 Digital (computer) Art. Abstract, non-objective. Inspired by the ancient, aquatic Minoan (Crete)culture (approx.3000 to 1500 BC.) This artwork was created in PhotoShop, the original resides on my hard drive. Colors: purples, blues, yellows. In addition to the sizes listed below, I have smaller framed & matted pieces in my inventory- email me to discuss.